You are here: Home / Eh Brah / Eh, Brave Airline Passenger! 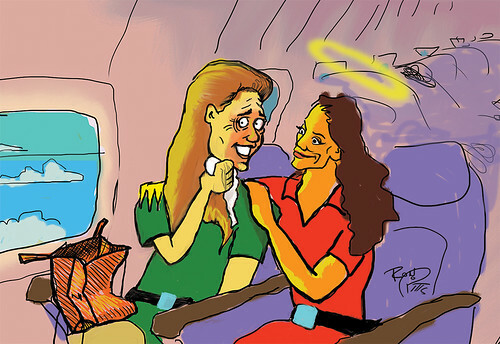 I never got a chance to thank you, the beautiful woman who sat next to me on a recent flight from Oahu to Kahului. I really hate flying, and it wasn’t long into the flight that we experienced turbulence. I was scared, but we ended up conversing, and that just eased all that worry away for the flight. It wasn’t a long flight, but you talking to me made me feel so much better. Mahalo!